With five days packed full of activities and entertainment, the 133rd Boone County Fair will get underway with a big country music concert this Saturday, July 8. The fair will continue through next Wednesday, July 12. The excitement builds on Saturday night when country music star Easton Corbin is set to perform with special guest Runaway June. Gates open at 5:30 p.m. and Runaway June opens the show at 7 p.m., with Easton Corbin to follow. Concert ticket sales are going well, according to fair board member Tina Henn. 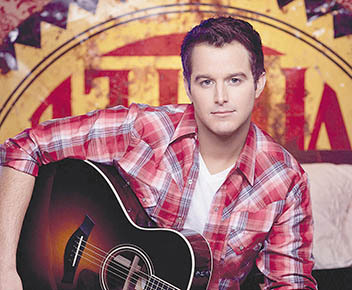 Only a few of the VIP show tickets remained available as of June 30, and the fair “Fun Book” ticket books were nearly sold out..
Easton Corbin recently released his hit single, “A Girl Like You,” and is preparing to release his fourth album. Runaway June, a female country trio, recently released a new single, “Wild West,” which includes a tip of the hat to the late great John Wayne, grandfather of group member Jennifer Wayne. After the concert, the fun continues with the Emmet Bower Band performing under the grandstand until midnight. Fair tickets are on sale now through Friday, July 7, 10 a.m. to 8 p.m. at the fair office in the Fairgrounds Event Center.